Under stressful environments, many green algae such as Haematococcus pluvialis accumulate secondary ketocarotenoids such as canthaxanthin and astaxanthin. The carotenogenesis, responsible for natural phenomena such as red snows, generally accompanies larger metabolic changes as well as morphological modifications, i.e., the conversion of the green flagellated macrozoids into large red cysts. Astaxanthin accumulation constitutes a convenient way to store energy and carbon, which will be used for further synthesis under less stressful conditions. 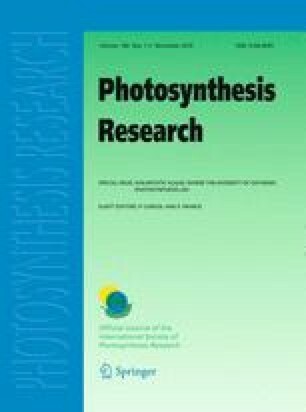 Besides this, the presence of high amount of astaxanthin enhances the cell resistance to oxidative stress generated by unfavorable environmental conditions including excess light, UV-B irradiation, and nutrition stress and, therefore, confers a higher survival capacity to the cells. This better resistance results from the quenching of oxygen atoms for the synthesis itself as well as from the antioxidant properties of the astaxanthin molecules. Therefore, astaxanthin synthesis corresponds to a multifunctional response to stress. In this contribution, the various biochemical, genetic, and molecular data related to the biosynthesis of ketocarotenoids by Haematococcus pluvialis and other taxa are reviewed and compared. A tentative regulatory model of the biochemical network driving astaxanthin production is proposed.